REGISTRATION CLOSED ON FRIDAY MAY 3RD. SIGN UP TODAY! 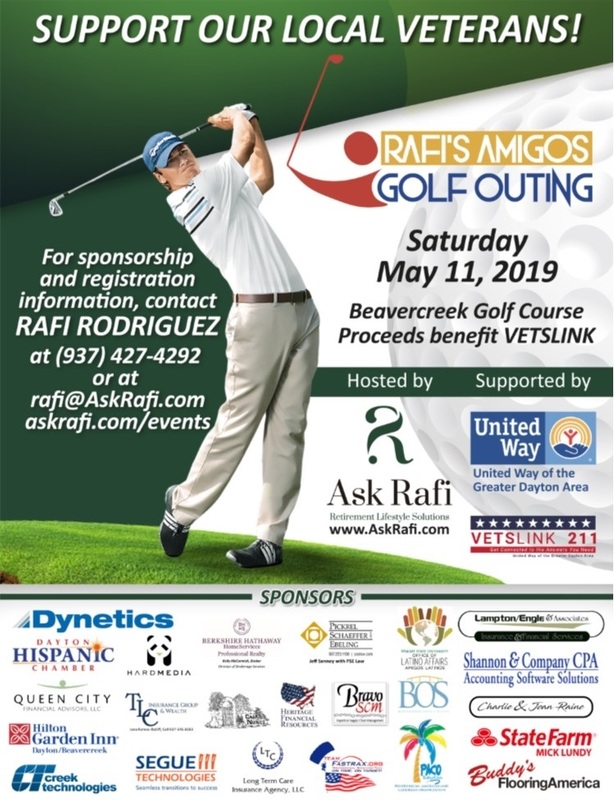 Join me in a great day of golf with my friends (amigos) on Saturday, May 11 at the Beavercreek Golf Course to raise funds to support my fellow Veterans in our community.